We're often the knowledge resource that others seek when they have photography questions. But where do you start when trying to explain the basics to a novice? In this podcast, I explain the first four things that you should teach a beginning photographer: Flash settings, ISO, white balance, and self-timer. Once a photographer understands these four tools, and knows where to find them on his or her camera, their pictures will immediately improve. 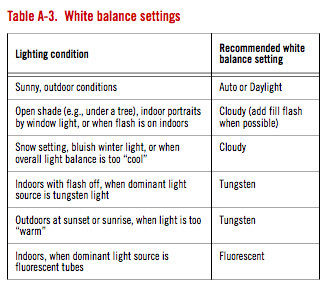 White balance settings are one of the four major topics that beginners should learn. Your comments on flash brought back memories of the days of flash bulbs and flash cubes. I worked for a company that made flash bulbs and boy did we like it when people used them at stadiums, arenas $$$$$$$$$$. Great Podcast, great info for all levels of photography.